Whew! This fall has been super busy, and I’m starting to see more leaves on the ground than on the trees, so I’m fully aware that we’re coming to the end of this beautiful season. 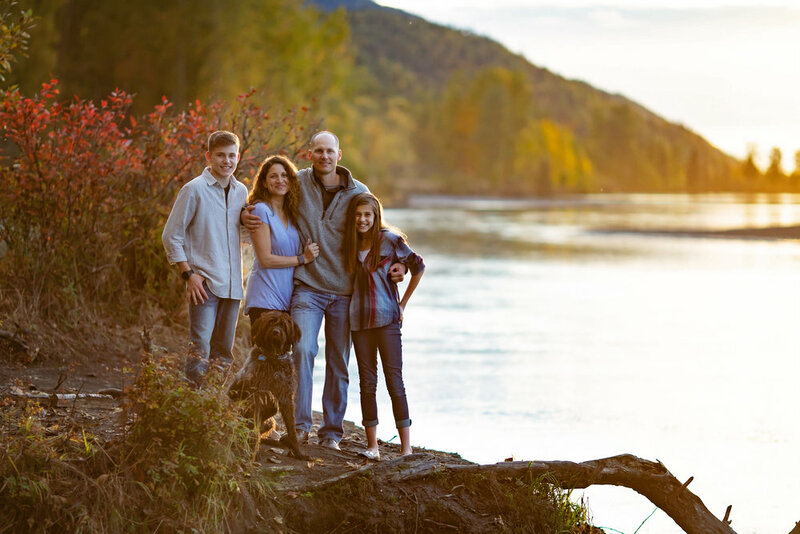 It’s also been strangely warm, so we got to do this fall family session in mid September in t-shirts, and as a born and raised Alaskan, I can tell you it isn’t something I’m used to. Definitely not complaining though! This session is the reason that I’m always so insistent on golden hour sessions. 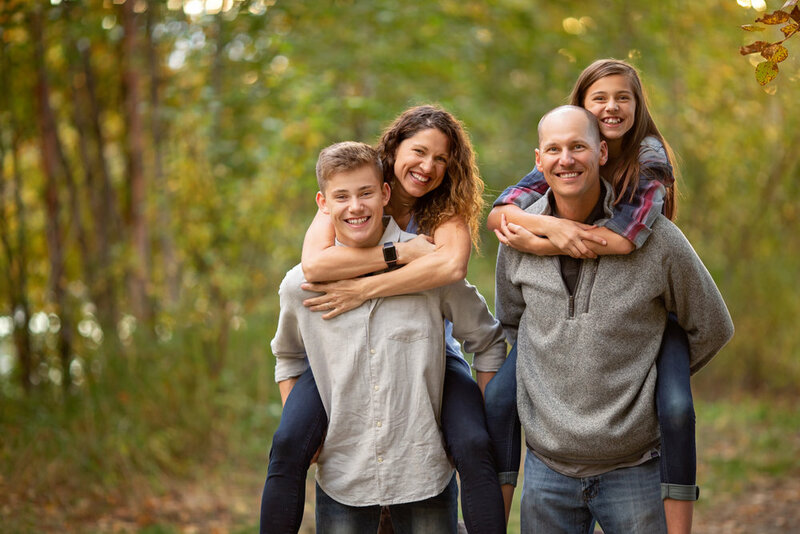 The light and location was perfect for this fun family! We got the perfect warm, golden light, and the location is one of my favorites. 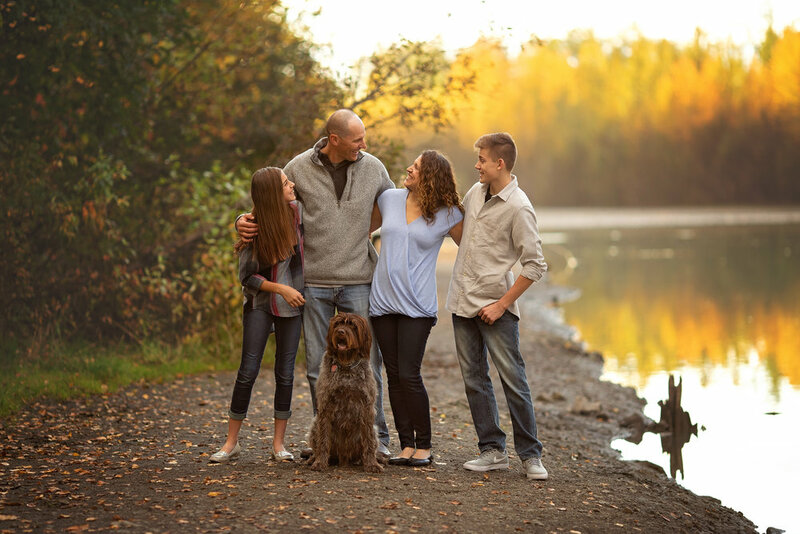 For family sessions, I always encourage you to bring any pets with you that you want to include in your sessions. Sometimes it can make sessions slightly more chaotic, but this super cute puppy was easy and well behaved, and was a complete natural in front of the camera. I spent a lot of this session laughing at how cute and easy it was to get this pup to look right at the camera. Anchorage Child Photography | Halloween Mini Sessions!